The Pro-Shot cleaning rod thread adaptor is used on .17 Cal. and .20 Cal. rods to clean tight bore .22 Caliber Rimfire Rifles. 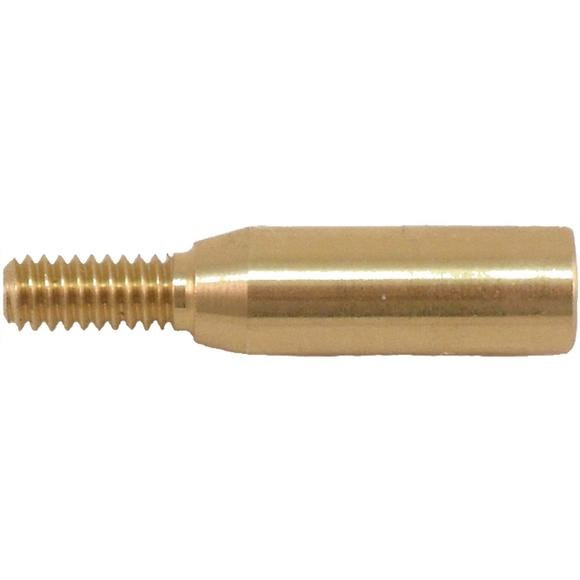 The adaptor allows you to use the standard # 8-32 threaded rifle accessories with the smaller diameter rod. Not for use on cleaning .17 Cal. Firearms. The Pro-Shot cleaning rod thread adaptor is used on .17 Cal. and .20 Cal. rods to clean tight bore .22 Caliber Rimfire Rifles. The adaptor allows you to use the standard # 8-32 threaded rifle accessories with the smaller diameter rod. Not for use on cleaning .17 Cal. Firearms.